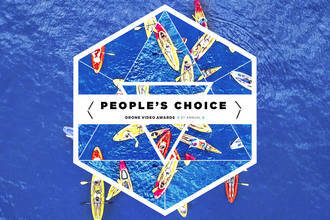 Congratulations to our 2nd Annual Drone Video Awards People’s Choice Nominees! This unqiue category is comprised of our Drone Video of the Month winners from 2018 and can be voted on by anyone. The nominees are: MikeBishop.tv, Grim Berge, bachir_photo_phactory, Mauro Pagliai, ZilverSchmitz, zimydakid, PilotViking, davidaguilar, and Ghadir Shaar. Description: 2nd ANNUAL DRONE VIDEO AWARDS’ PEOPLE’S CHOICE CATEGORY NOMINEES - Kingdom Of The Wild - Wildlife in Namibia Africa - MikeBishop.tv Discover Norway - A 100 days journey - Grim Berge Philippines - Bachir_Photo_Phactory Not Only NOW, it’s EPIC - Mauro Pagliai MOMENTS OF MADEIRA | 4K - ZilverSchmitz Japan: The Land of the Rising Sun - zimydakid THE EPIC NORTH!! NORWAY, ICELAND, FAROE ISLANDS - Drone - PilotViking MAGIC ICELAND | Drone & Time-lapse 4K - davidaguilar In Search of Elysium - 4K Aerial United Arab Emirates - UAE - Ghadir Shaar To vote for your favorite People’s Choice videoCLICK HERE! Don’t forget to hit “Submit Vote” at the bottom of the page to make sure your vote counts. You will have the opportunity to place your votes for the People’s Choice category between Thursday, January 17th, 2019 and Sunday, January 28th, 2019 (voting closes at 11:59pm CST). The winners of each category of the 2nd Annual AirVūz Drone Video Awards will be announced on AirVūz Live on Facebook on Monday, February 18th, 2019 at facebook.com/airvuz. Click the following link for more information about the contest - www.airvuz.com/2nd-annual-drone-video-awards TO VIEW THE FULL VIDEOS OF ALL OF OUR NOMINEES, CLICK HERE. CONGRATULATIONS TO ALL OF OUR 2ND ANNUAL DRONE VIDEO AWARDS’ NOMINEES!